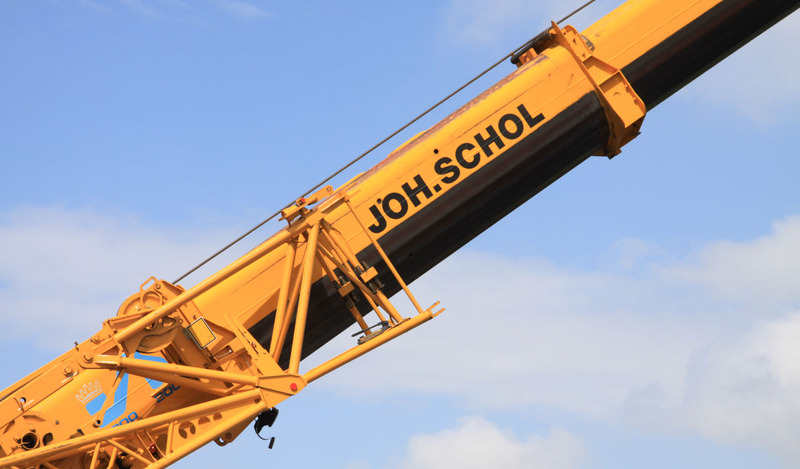 The Liebherr LTM 1160/2 of Joh. 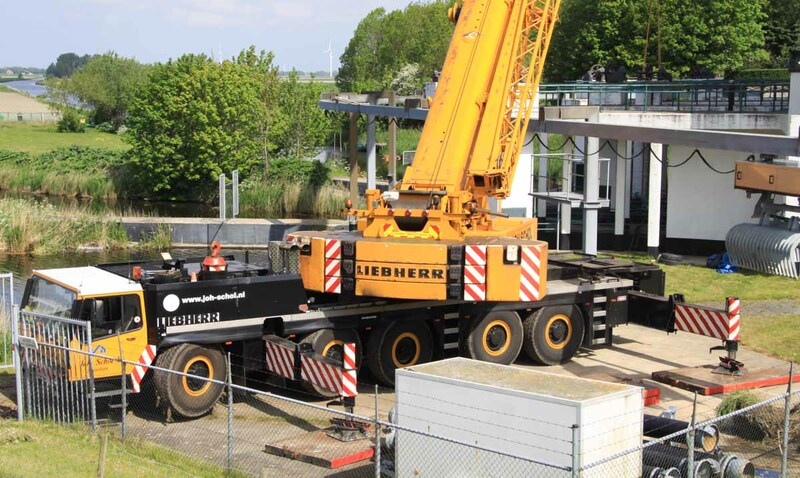 Schol from Zaandam (NL) assisting by a maintainance job at the water pump station Lely near Medemblik (NL). 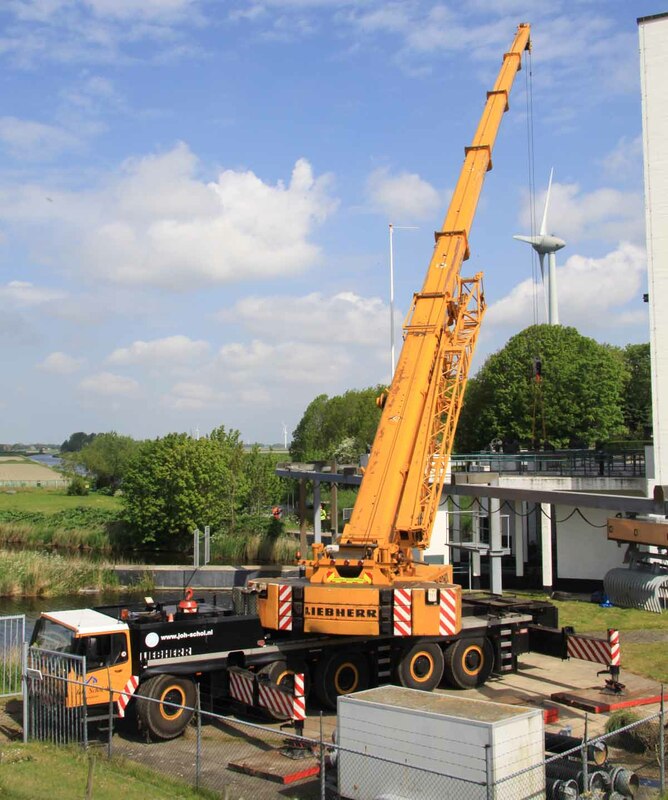 It is a 160 tonne crane on a 5 axle undercarriage with year of manufacture 1997. 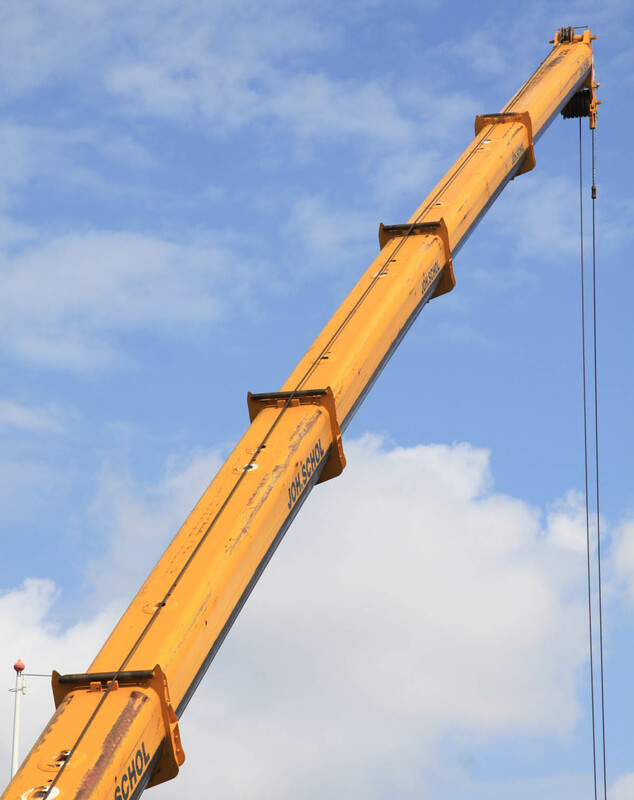 The outrigger base of the crane measures 8.85 x 8.3 meters. 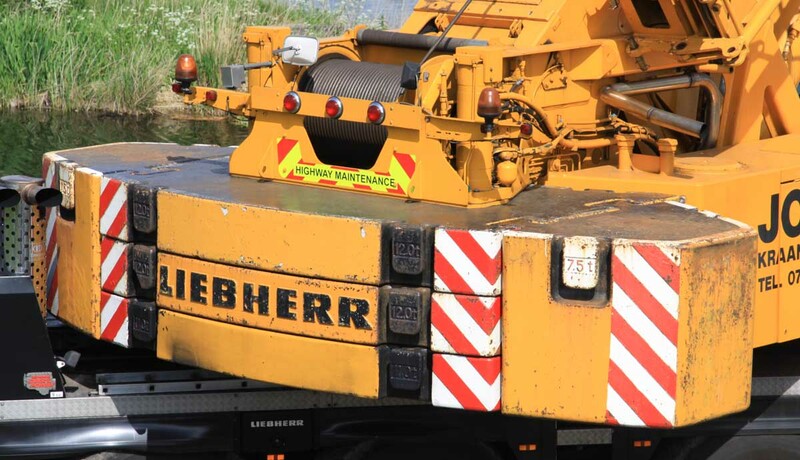 The undercarriage is powered by a Liebherr D 9408 TI with 544 hp. The first two and the last two axles are driven, all axles are steerable. The crane was used here with all counterweight, 50 tonnes. The couterweight exists out of a 11 tonne base plate, two wider 12 tonne slabs and two 7.5 tonne hang-on slabs. 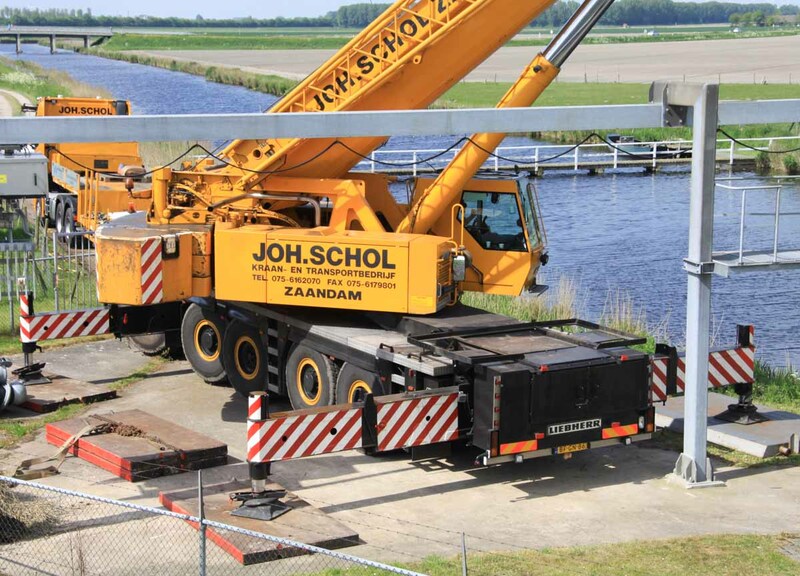 The main boom has a 13.2 meter base length and extends five times to a 60 meter length. 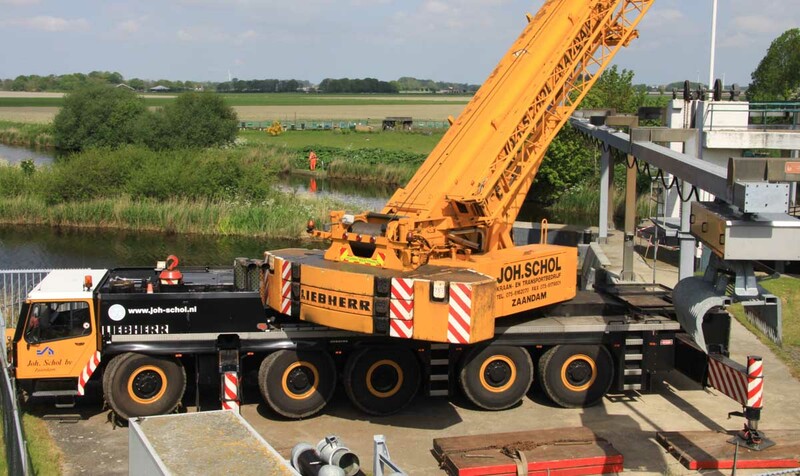 The crane itself takes 11 tonnes of counterweight and 4 smaller outrigger pads with it. The other 39 tonnes of counterweight and the larger outrigger pads are transpoted by truck. 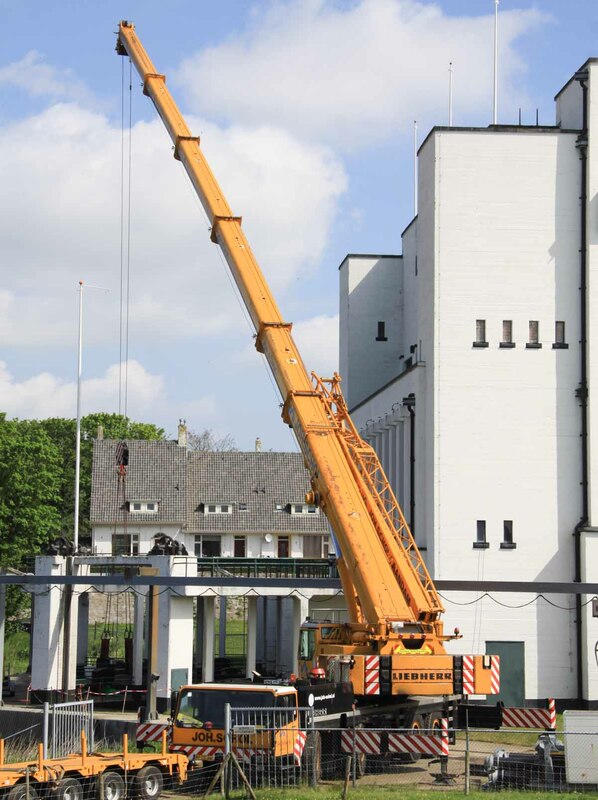 The main boom can be extended by a 22 meter folding jib. 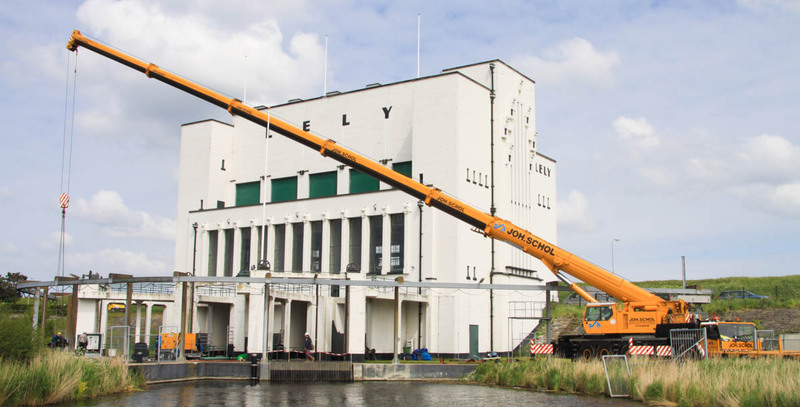 The Lely water pump stadion is used since 1930 to dry (and to keep dry) the Wieringermeer (NL).